If windows cannot be repaired, have them replaced by high performance windows with double or triple glazing and low emissivity glass. Replacing windows is a job for the professionals! Timber window frames are made from a renewable material and can easily be maintained and renovated. Replacing the single glazing in timber windows with double-glazing units is sometimes an option – but even if there is enough space to fit them, they’ll make the windows heavier so you’d also need to have the sash weights or hinges upgraded. Call or email Sash Smart London Ltd today! You can check with the local Planning department for any work that would affect the appearance of your building — you may not be allowed to change the type of windows. Sash Smart London Ltd is a FENSA registered company- we make like for like replacements that comply with building regulations. A common way to describe the performance of windows is the ‘U-value’: 1.1 is exceptionally good, 1.8 is very high performance. U-values give an indication of how easily heat can be lost from the air in rooms through parts of the building, including windows. Window frames and glazing with low U-values will reduce heat loss — the lower the U-value the better. Building regulations have gradually increased insulation standards. The levels of insulation depend on the date that the building warrant was granted, not when the house was built. There weren’t any requirements for insulated windows until 1991. Until then, windows had U-values of about 4.8. By 2002 the building regulations required 2.0 for windows with wood or PVC frames, 2.2 for windows with metal frames – or a lower U-value if the boiler is old or inefficient. 2010 Current U-values 1.6 or less. This is a minimum for new sashes that Sash Smart London Ltd install. A staggering 28% of all domestic heat loss escapes through the windows*. By fitting new double glazing with Low-E glass and/or draught proofing frames you could reduce this loss by half. For an average three bedroom house this could result in a saving of £70 to £100 a year on the energy bill. Call or email Sash Smart London Ltd today. * Energy savings calculation courtesy of the Glass and Glazing Federation. Energy consumption data. Whether it’s a small re-glaze you require or a compliant U-Value double glazed sash window. Sound proofing or security glass. Sash Smart London Ltd use PLANITHERM TOTAL+ Glass and Pilkington ‘K’ glass. We can source most designs of glass styles from our local and national network of suppliers that we have worked with over the years. WHEN IS TOUGHENED/SAFETY GLASS REQUIRED? The shaded areas in the diagram below show the areas in which safety glass must be used. Glass used in these areas must comply with BS 6206. Safety glass is 5 times stronger than normal glass, and is ideal for vulnerable ground and first floor installations. 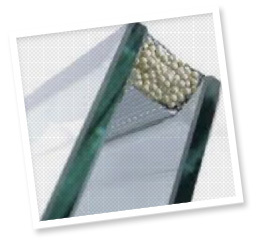 On impact safety glass disintegrates into small granular pieces which are not sharp, thus reducing the risk of injury. Sash Smart London Ltd offer secondary glazing. Secondary glazing is often used where new windows can’t be fitted due to conservation rules or when it’s not practical to offer a full replacement. Secondary is a good noise reducing product for windows on busy main roads. There are many designs from a horizontal sliding, vertical sliding sash design with a tilt out option making it easy to open and clean the primary window.